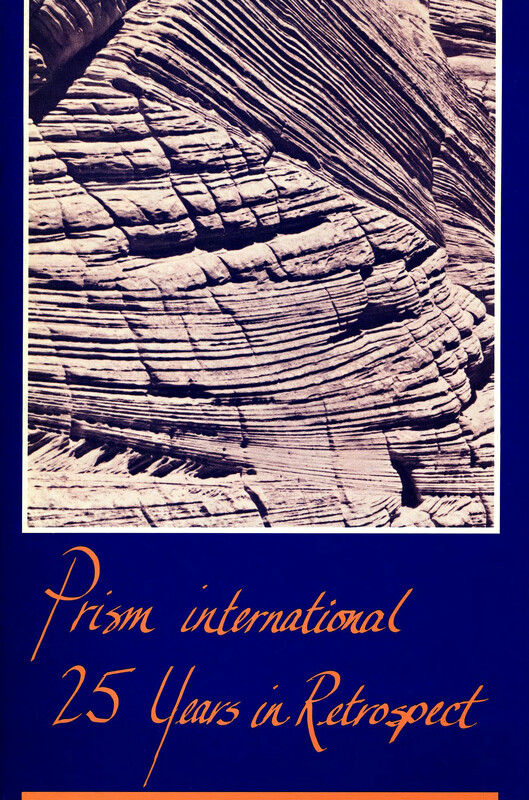 Established in 1959 and published quarterly, PRISM international is the oldest literary magazine in Western Canada. Through a partnership with the UBC Creative Writing Department, UBC Library digitized all back-issues of PRISM in 2015. 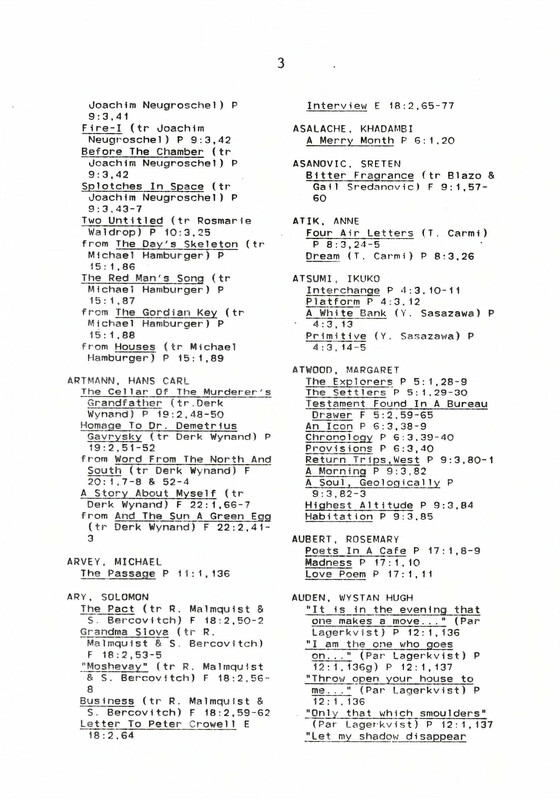 The full archive is available in Open Collections. All issues are available with a one-year embargo ­– so, consider subscribing to read the most recent issues! Authors featured in the 25-year retrospective issue include prominent writers such as Margaret Laurence, Robert Kroetsch, A.K. Ramanujan, Margaret Atwood, and Jorge Luis Borges. The editors also opted to feature “unexpected writers”, “represent[ing] the growth, directions, and trends of the magazine since its inception” (Introduction). 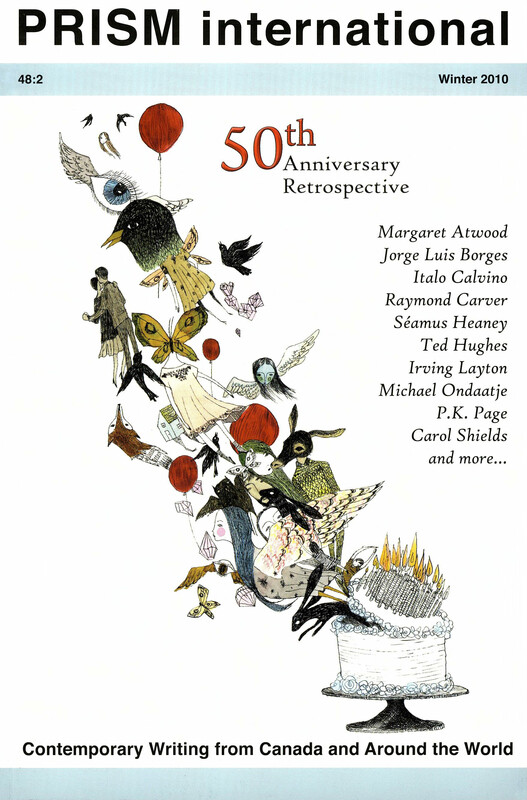 The 50th anniversary issue includes a few of the same pieces and authors as the 25-year retrospective issue, as well as featuring writing by Michael Ondaatje, Ken Babstock, Carol Shields, and others. If you are curious about a specific author’s work in PRISM after 1984, you can search Open Collections to pull up issues including that author’s name. Do you have a favourite issue of PRISM, or a favourite poem, fiction, or non-fiction piece from a past issue? Let us know in the comments!